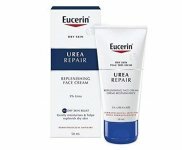 Eucerin DermoCapillaire Calming Shampoo is specifically designed for dry and itchy scalp conditions. 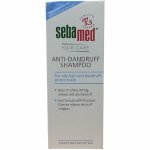 It’s enriched with urea and lactate – two of the moisturising factors produced naturally by healthy skin – to give your dry, itchy scalp the nourishing care it needs. 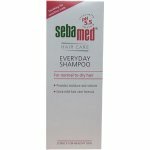 Used in conjunction with DermoCapillaire Calming Scalp Treatment, it soothes and relieves itching and dryness while giving your hair a healthy shine and supple feeling. You have a dry and itchy scalp: DermoCapillaire Calming Shampoo helps reduce moisture loss while soothing itching. 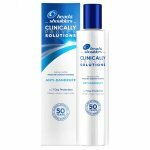 You have atopic dermatitis or psoriasis: DermoCapillaire Calming Shampoo is ideal for use as adjunctive or complementary care. 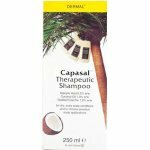 Your dry scalp is often irritated by other shampoos: DermoCapillaire Calming Shampoo is free from colourants, parabens, silicones, alkali and fragrances. 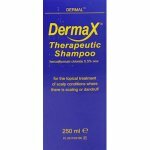 For best results, use DermoCapillaire Calming Shampoo in conjunction with DermoCapillaire Calming Scalp Treatment. Suitable for children over three years of age. Avoid contact with eyes, if this happens rinse immediately with clean water.